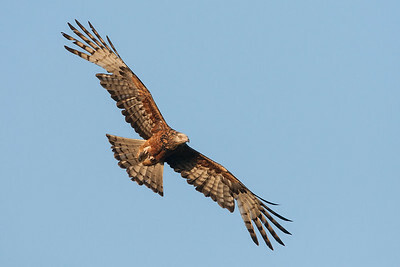 An adult kite banking before me. 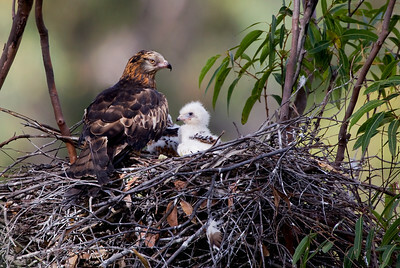 An adult with two chicks (second chick barely visible). 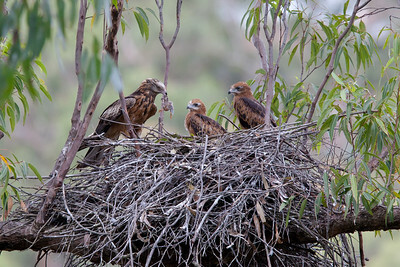 An adult kite feeding its two chicks. 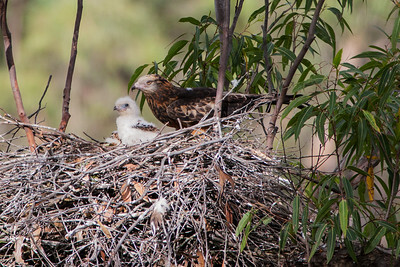 An adult kite and her two chicks. 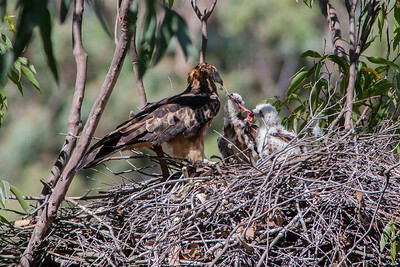 An adult kite brought a meal for the two chicks.